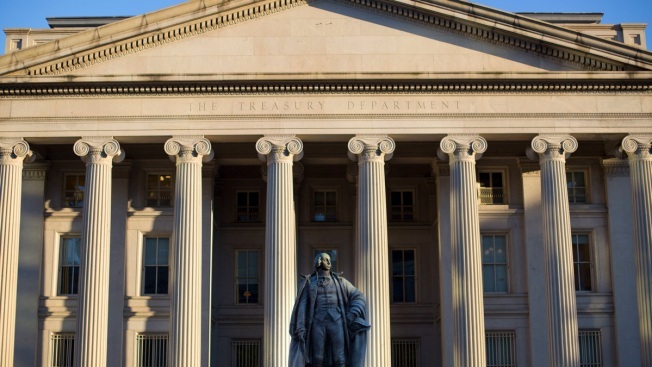 "Our growing national debt matters because it threatens the economic future of every American"
This June 8, 2017, file photo shows the U.S. Treasury Department building in Washington. The national debt has passed a new milestone, topping $22 trillion for the first time. The Treasury Department's daily statement shows that total outstanding public debt stands at $22.01 trillion. It stood at $19.95 trillion when President Donald Trump took office on Jan. 20, 2017.